I had this Clarion system restored after years of nagging from the wifey. She has always wanted her S12 as stock as possible. 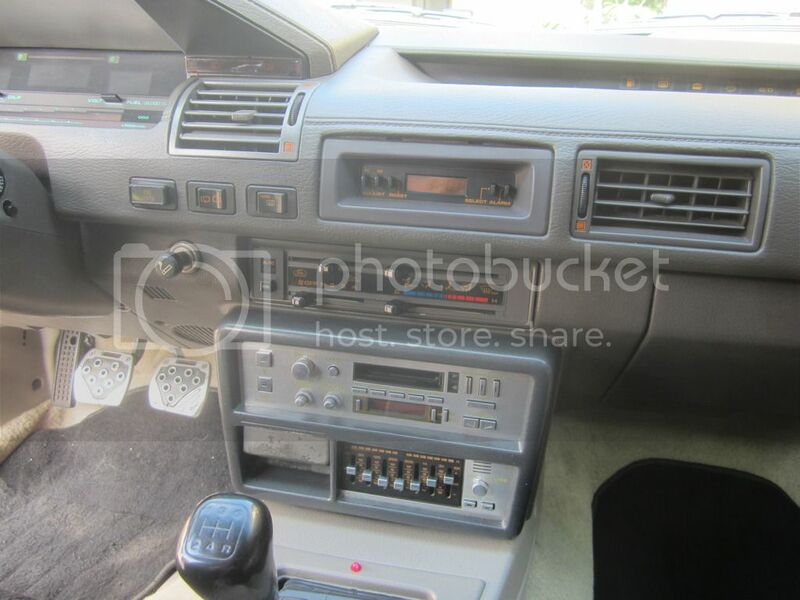 I pulled the Alpine receiver, Navigation unit and the Radar/Laser detector (yes, even with the CA20e). I kept the JL speakers (to include an 8" woofer) and the amp. Everything is functional and the system sounds great! Remember these? I had these stored in the attic which I used to show the wifey how to use the cassette player. It really brings back the good memories from the late eighties and early nineties for me. 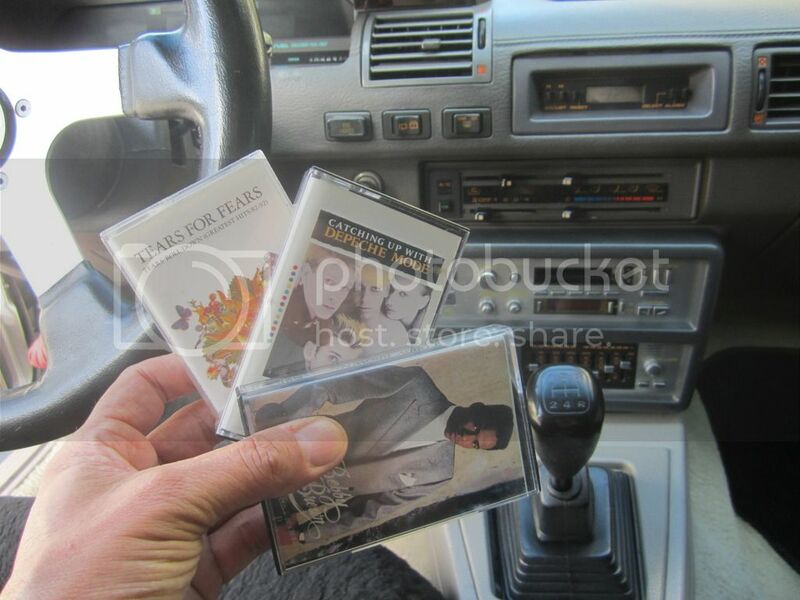 My wife now plans to shop on ebay to purchase cassettes from her favorite artists from the nineties (she was only twelve when I purchased the car back in 86, hee hee). This system is straight-up 80's gangsta! Who did the restoration? I still have my stock system in the attic. I think the FM quit on the radio and one channel quit in one direction on the tape deck. BTW encourage her to spend her ebay money on a good quality tape deck and make your own tapes - like we did in the old days! Ah yes, I remember the days of creating the ultimate "mixed tape." I'm not sure if my wife will have the patients to make her own mixed tape as we all know, it takes a lot of time and a lot of tapes.....especially if you are going to use the 90 minute recording tape. Was it expensive to get it restored? Depends on what your definition of expensive is. I paid $250 to have both units restored with a one year warranty. For me personally, it was worth it. That's not unreasonable, especially when you consider how few resources there are for repair. These systems sound pretty darn good when working well. Does he do vintage home equipment as well? Not sure about the home vintage equipment. I would contact them to see if they do those repairs. If you plan to turn in any Clarion components, you may want to mention my name (Jay) and tell them you are a member of the S12 Club. He may just shave off a few bucks for the referral. 250 isn't bad. I want all mine oem looking, ive not re fitted my factoey unit to see if it works yet but if it doesn't it's good to see there are repairers out there! Awesome pictures Jay. I would like to get my Radio fixed up. Thanks for the website on the radio restoration. Awesome pictures Jay. I would like to get my Radio fixed up. Thanks for the website on the radio restoration. Tell your wife that she can buy tapes at the Thrift Store. That is great! Hey, sounds like you robbed the cradle my man! Seeing someone else that lived the times of the 80's and early 90's musically, wow that was a time to remember. I still have a bundle of cassettes myself, still listen to some in the SE on the OEM player.